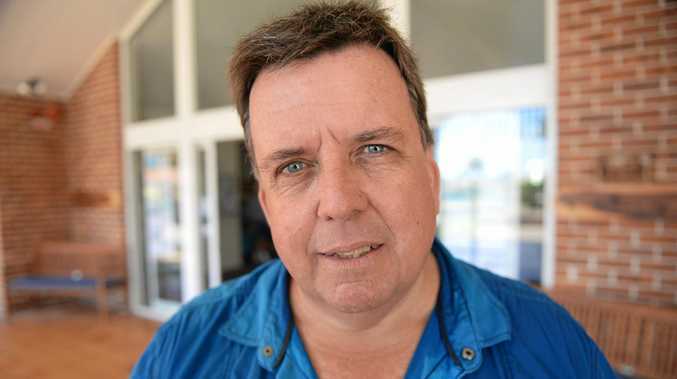 BARGARA'S divisional councillor Greg Barnes flagged an "inappropriate" phone call with the developer of the controversial high-rise project on his register of interests on Tuesday. Sheng Wei is the businessman behind the proposed nine-storey Bargara development. Cr Barnes declared last Thursday's phone call, the day before council officers handed down their recommendation for the development. On Wednesday town planners recommended the height of the building be reduced to six-storeys or 20m with the development set to go before the full council this Tuesday. "On 12th July 2018 I received a phone call from Mr Sheng Wei the proponent behind the Esplanade Jewel development application at Bargara and under assessment by BRC," the declaration stated. "He advised that he was bringing an associate from Nanning to Australia on 31 July 2018 who had interests in a company growing and processing fish and wanted to meet me. "I advised that the offer was inappropriate on a number of occasions and he then asked if I was interested in a fish processing factory. "Again I told him that the discussion was inappropriate and declined his offer." Cr Barnes said he felt compelled to declare the call. A spokesman for Mr Wei yesterday defended the phone call, saying the purpose of it was to connect Cr Barnes with a Chinese party that might be interested in the fishing business he has shares in. Esplanade Jewel development project manager Jim Sidorovski, who spoke with Mr Wei yesterday, said while in Nanning Cr Barnes asked Mr Wei if he knew of anyone interested in fish farming. Mr Sidorovski confirmed when Mr Wei rang, Mr Barnes expressed the inappropriateness of the phone call. Cr Barnes has previously disclosed having shares in Abington Aquaculture Pty Ltd, a Childers freshwater aquaculture facility and one of the few in the country to have commissioned its own on-site fish feed production mill. Cr Barnes said there was never any attempt to create an export opportunity during his visit to Nanning in October last year as part of a council delegation. "Clearly there was an interest in fish (while in China) particularly in the type of fish we grow," he said. "There was never any attempt to create an export opportunity through this delegation. "Mr Wei himself showed very little interest in anything to do with aquaculture. "Why he has chosen to call me after nine months, without calling before and make this offer, is something I'm having trouble coming to grips with." Cr Barnes said he fully intended to cast his vote on the development next week. "Acting on legal advice I intend to exercise my right and duty as an elected member to vote on this issue," he said. 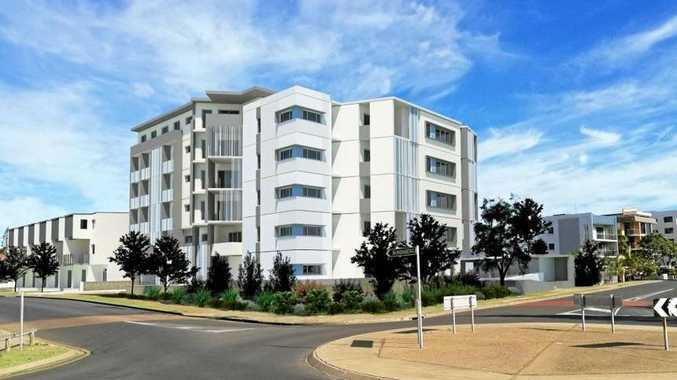 The controversial development has divided the Bargara community and the NewsMail understands Cr Barnes is not in favour of it exceeding five-storeys. This is not the first time Cr Barnes has recorded contact with Mr Wei in the registry of interest, noting the controversial development application prompted him to list gifts from Mr Wei, even though they did not total more than the declarable $500. These gifts include two meals and beers in Nanning, as part of an official delegation, a meat cleaver, a painting which was delivered to Abington Aquaculture with books on Nanning Architecture.